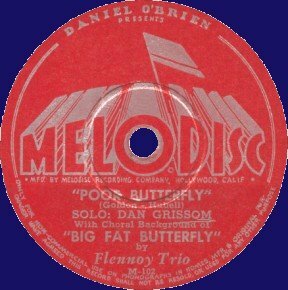 Today's spotlight on a pretty much forgotten record label - Melodisc. Founded in 1945 it was one of the many indies that thrived on the booming Rhythm & Blues scene on Central Avenue of Los Angeles. The company set headquarters on famous Sunset Boulevard of Hollywood, and by the fall of 1946 it had contracted a few of the greats of West Coast Rhythm & Blues. Unfortunately, in November of that year the premises burnt down to the ground and the owner was insufficiently insured - and that ended the operation of Melodisc. The masters were lost causing Melodisc's music to become obscurities. In 2010, Acrobat records dusted off some 78s of the label and compiled a 2 CD anthology that I play a selection from, together with telling the story of this label and the musicians that recorded for it.